One of the things we love most about summer is all the free outdoor family fun. Even though it is the smallest state, Rhode Island knows how to pack a punch for families! 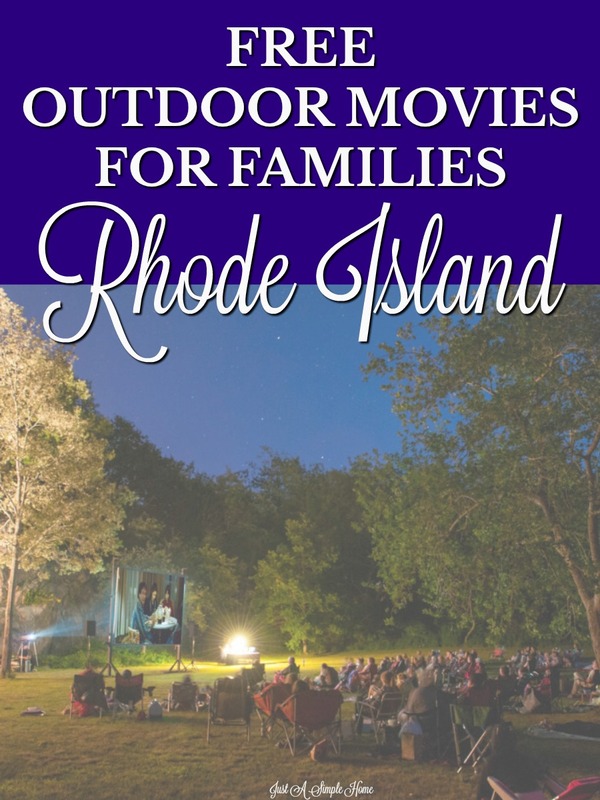 There are plenty of free outdoor family movies in Rhode Island to enjoy a summer long! Grab your littles and bigs, some snacks and chairs and check out all the free movie events happening all over the state- in fields, beaches, and parks. Your family will enjoy more than just a movie night with NewportFILM’s outdoor summer movie series. On select Thursdays this summer, join NewportFILM for award-winning documentaries, live music, on-site food vendors and q-and-a sessions on Aquidneck Island’s most beautiful outdoor spaces Food vendors are available and live music is performed! Grab your spot early so you don’t miss out on all the festivities and enjoy a night under the stars! Movies including Science Fair, Chef Flynn, Life in the Doghouse and more will be shown. These epic film events take place every Thursday night at sundown, all summer long, and are free of charge. 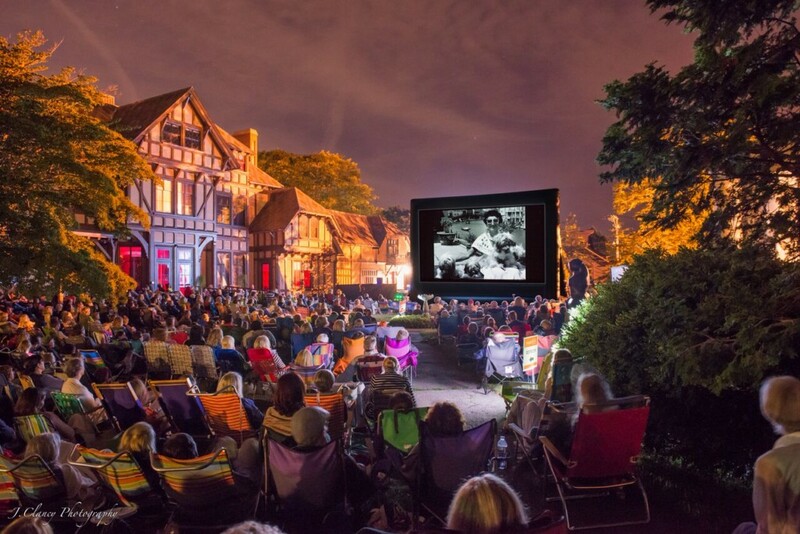 Check newportfilm.com for updated showtimes and locations. Free. $5 suggested donation. For more information, call 649-2784 or visit newportfilm.com. 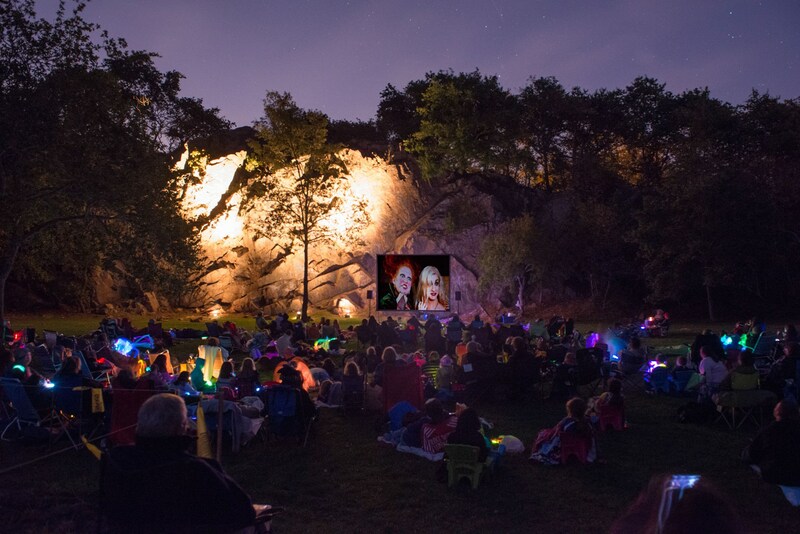 On select Fridays in August, families can enjoy entertainment under the stars at the Roger Williams Park on the Boathouse Lawn. Food trucks are on site, so you can enjoy the delicious food while you watch a great family film. Movies begin at sunset. The full schedule: Aug. 3, Landfill Harmonic; Aug. 17, the Muppets. Free. Roger Williams Park on the Boathouse Lawn, 1000 Elmwood Ave., Providence. For more information, visit rwpconservancy.org. Who remembers Rocky Point?! It’s so much fun going back to watch great family films at this childhood favorite spot. With views of Narragansett Bay, it is a night you’ll be sure to remember. Bring some blankets and chairs and drive to Rocky Point for a night your whole family will remember. Pack some snacks or enjoy treats from the food trucks from Open Season, Haven Bros and more. Movie begins at dusk. Thurs., Aug. 23, Despicable Me 3. Free. Rocky Point, Warwick. Gates open at 5:30 p.m. For more information, visit moviesintheparkri.com. Let’s go to the beach! Watch summer classics at Narragansett Town beach and listen to the waves crash around you. Can you even imagine watching Jaws while you are at the beach?! You can grab some tasty fare at one of the food trucks nearby or bring your own food. Movies begin at dusk. Aug. 8, Angels in the Outfield; Aug. 15, Jaws. Free. North Beach Clubhouse Deck, Narragansett Town Beach, 79 Boston Neck Rd., Narragansett. For more information, visit narragansettri.gov. Looking for some classic movies your family will enjoy? Come to The Rocks at Ballard Park this summer on select Wednesday nights. You’ll enjoy a big field for your children to play on before the movie starts. Make sure to bring some blankets and lawn chair and arrive early, as you’ll need to walk to the field and they fill up quickly. Select Wednesday nights at dusk. Aug. 8, Rocky; Aug. 15, the Princess Bride; Aug. 22, Bambi. Free. 21 Hazard Rd., Newport. Call 619-3377 or visit ballardpark.org for more information. This is a Rhode Island night in all its’ glory Go for a ride at the Looff Carousel at Crescent Park and enjoy some clam cakes and chowder from the Blount Clam Shack, before settling on the grassy field for the movies. This is a fun one! Free popcorn is provided as well! Select Fridays in Aug. and Sept. Movies start at dusk. August 24, Peter Rabbit; September 14, Paddington 2. Free. Crescent Park Looff Carousel, 700 Bullocks Point Ave., Riverside. For more information, check out crescentparkcarousel.org. What a wonderful event! I love going to movies in the park! It is such a great event to take the whole family, and I love that many of the movies you listed would make that work. This looks like so much fun!! My hometown in Maine used to do these sort of events a lot when I was growing up (they probably still do). I’d love to take my daughter to one when she’s a little older.